TOM KELLEY is a partner at IDEO, and the author of the bestselling The Art of Innovation and The Ten Faces of Innovation. DAVID KELLEY is the founder of IDEO, one of the world's leading innovation and design firms, as well as the creator of the d.school at Stanford University. 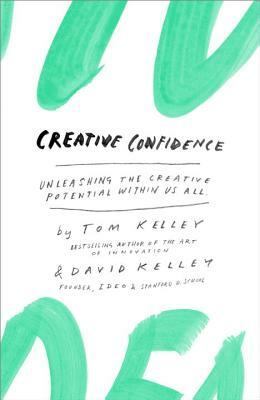 “CREATIVE CONFIDENCE is a myth-busting, muscle-building gem of a book. It shatters the false belief that only some people are creative. Then it provides a smart, practical action plan for boosting your innovative capacities. If you want to be more creative, read the Kelley brothers' words, follow their advice, and then—as they'd tell you—do something!" “David Kelley has unleashed the power of design thinking for thousands of Stanford students and hundreds of influential Silicon Valley entrepreneurs. In CREATIVE CONFIDENCE, he and his brother, Tom, share their secrets about how each of us can find our creative powers. They describe a way of thinking that will change your professional and personal life. “An indispensible field guide for creative explorers of all kinds.